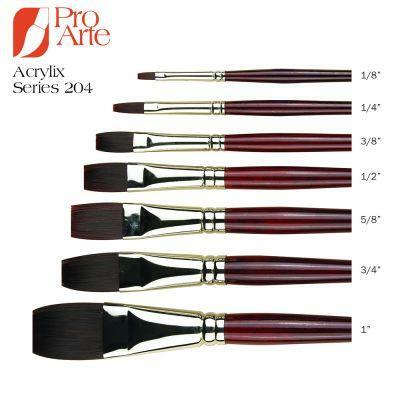 These Acrylix Series 204 One Stroke Brushes from Pro Arte are a new breakthrough brush designed as a synthetic alternative to the hog hair brushes for acrylic and oil painting. It goes way beyond to offer exciting new properties of its own. Acrylix, though firm, is flexible and has a lovely silky working texture - something it retains after many sessions in use. Prolonged standing in water has virtually no effect on them which is essential when using fast drying acrylic colours. This durable pearly filament also helps the artist to see and judge the colour on the brush; they'll endure and delight! 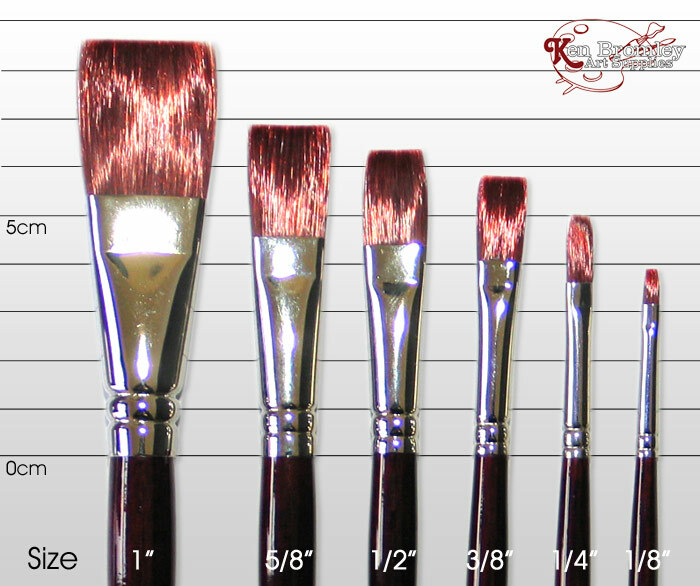 I use these brushes for oil painting, and I find the paint controls well on the brush. You can make well defined and crisp brush marks even when working over wet paint. They also seem easily cleaned and do not hang onto the paint like some hog hair brushes tend to do when being cleaned. Good quality, durable brushes. 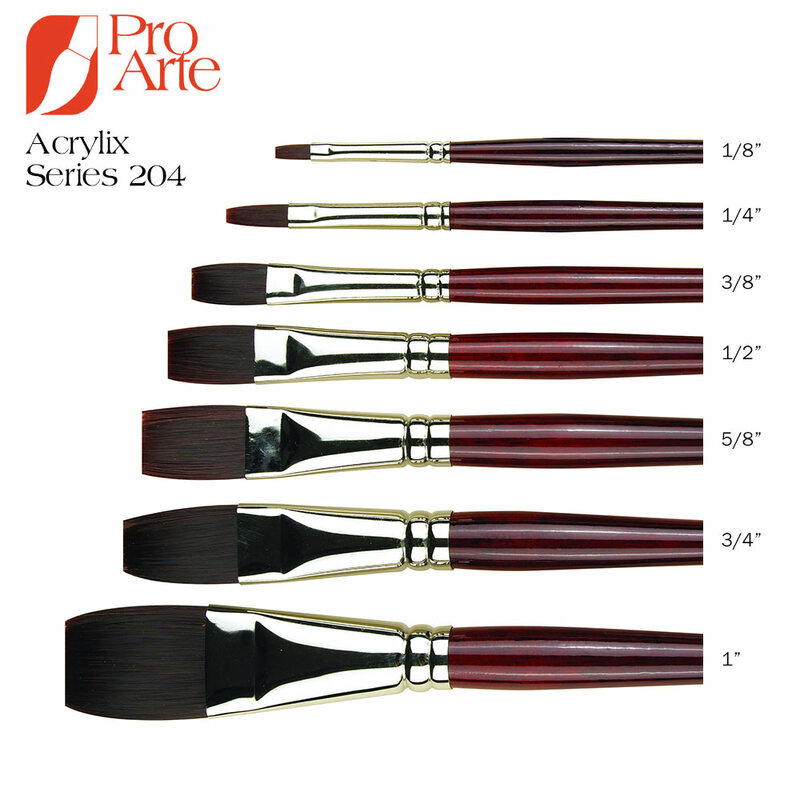 - Acrylix Series 204 One Stroke Size 1/8"